Any social media marketing strategy starts with having great unique content that is relevant for your target market and audience. That content could be humorous or educational. It could be an entertaining video such as the YouTube videos for Old Spice “The Man Your Man Could Smell Like” or Blendtec’s “Will it Blend“. It could be informative and educational content such as a blog article or a “how to” video that instructs visually. Once you have created the content the next challenge and task is promoting and marketing to an online audience. If you use the right social media marketing strategy and tactics your content and message will spread. Social media marketing and sharing is dominated by the big three, Facebook, Twitter and YouTube. There are other significant social media and networking platforms such as LinkedIn, Slideshare and Flickr that should also be considered to be in plans, depending on where your customers and prospects hang out. Beyond these social networking sites there are a plethora of other sites that you can also use but who has the time to share on all of these?… ..no one! So which other social media sites should you consider? When I started my journey in social media there were other social networks that I did include in my social online sharing and they were Digg, Reddit and StumbleUpon. Along the way I forgot them and concentrated on Twitter and Facebook. There is nothing like a “shiny new toy” to get you distracted! I recently stumbled across some data from Stat Counter – Global Stats that revealed that StumbleUpon drives more referral traffic than Facebook and Twitter!… In fact it drives more traffic than any other social media site. StumbleUpon’s service lets people discover and share new web content based on a broad spectrum of categories. Users click a “stumble” button to discover new content, and then have the option of voting and commenting on the selection. The half life of a link (the point in time when a link has garnered half of the engagement it will ever get) is 2.8 hours when shared on Twitter, 3.2 hours when shared on Facebook but a page shared on StumbleUpon has a half life of 400 hours. These numbers may change your thinking about StumbleUpon! In the last two days I have started sharing on StumbleUpon again and it has driven more referral traffic than Facebook but not Twitter. I will keep you posted as I experiment with the platform. 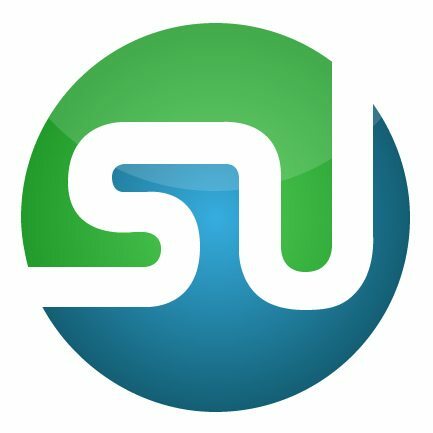 How have you found StumbleUpon? Has it been successful for you? I look forward to hearing your success stories! Postnote: Note this is for 2011. 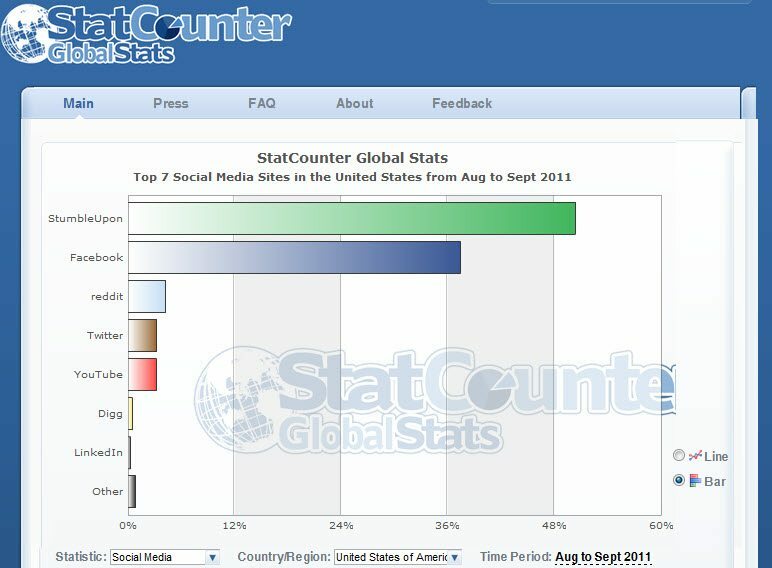 It is a different case in 2012 where FB takes the lead.